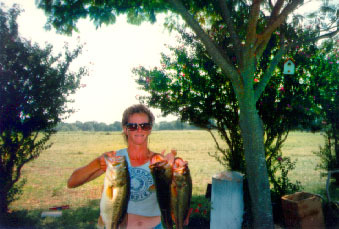 Carol is holding 2 of the ones we caught for the fish fry. 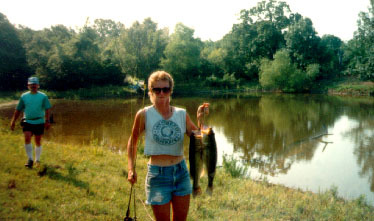 Have you ever filleted a Bass this big? I felt like I was cutting up one of my pets. But this is what Granny want's to keep her ponds healthy, and it seems to work. A 10 lber came out of one of the ponds that was only 1 acre.